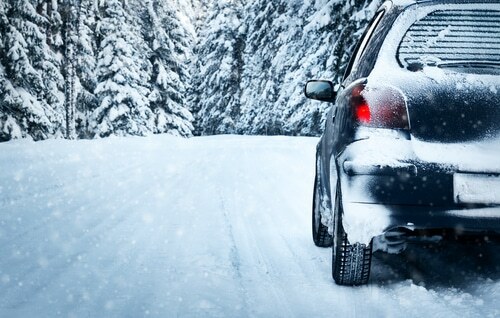 When the weather outside is frightful, that’s your cue to take extra good care of your car. After all, winter conditions can be tough on any vehicle, so follow these maintenance tips to keep your car going strong until Fort Collins thaws out again this spring. Having a clear windshield is vital for visibility and roadway safety. If your wipers start chattering and streaking, fix them to maintain good visibility. If your repair attempts don’t work or the wipers are getting old, replace them. Purchase new windshield wipers at Scott’s Fort Collins Auto and we’ll install them for free! Climbing into a freezing car is no fun, so many Coloradoans warm up their vehicles before heading out. However, engines aren’t designed to idle for long periods, and doing so regularly could cause buildup on the spark plugs, forcing you to replace them prematurely. Idling also wastes gas, exposes you to harmful fumes, and is bad for the environment. Feel free to warm up your car while you scrape the windshield, but avoid idling for any longer than four or five minutes to help keep your car going strong. Speaking of scraping the windshield, do so carefully to prevent damaging the glass and paint job. It may seem like a good idea to melt all that ice and snow on your car with boiling water – until the sudden temperature change causes the windshield to crack. You’re much better off sticking with the old fashioned way of removing ice and snow from a windshield with a scraper and brush. Different tires are designed to handle specific road conditions. Summer tires are great on hot, dry roads, but they begin to experience faulty performance once the temperature reaches about 45 degrees. All-season tires are approved for both wet and dry conditions, making them adequate for snowy roads, but winter tires are the best option for Colorado’s climate. Let the experienced mechanics at Scott’s swap out your summer tires for a winter set. The increased performance will help keep you safer on the road for the rest of the season. Once your winter tires are installed, check the air pressure often. Cold weather has an interesting effect on tires, lowering the air pressure by about one PSI for every 10-degree drop in temperature. Keep a tire pressure gauge and portable air pump in your car at all times, especially in the winter, so you can make emergency adjustments as needed. It’s wise to never let your car’s gas gauge fall below a quarter tank, but in the winter, you should keep the tank at least half full at all times. Not only does this help prevent you from running out of gas in the middle of a snowstorm, but it also helps to keep your car going strong. Consider this: if there’s only a small amount of gas in the tank, there’s a lot of air. This air is likely to carry moisture, which can form ice crystals in the fuel line. A frozen fuel line causes several problems, such as preventing your car from starting, or stalling the vehicle as you drive. Clearly, it’s best to avoid all this and keep your gas tank full when it’s cold outside. Let Scott’s Fort Collins Auto Keep Your Car Going Strong! If you need new windshield wipers or winter tires, choose Scott’s for these services. We’ll do the job quickly, professionally, and affordably so you can be on your way. Then, trust us for any other car maintenance and repair needs that come up this winter. If you have any questions or want to schedule an appointment, please contact us at 970-682-4202 today!